PowerPro offers generators for Saint James and supplies competitive equipment only pricing for pick up or curbside delivery, or our ‘ReadySet’ package pricing for the office or home, this includes the equipment, optional concrete pad, delivery, placement, battery, and start up. Please contact us for generators for sale Long Island.Plenty of good reasons to get a Natural Gas generator in Saint James, LP generator on Long Island or Diesel generator on Long Island. Storms of all seasons, utility power failures, healthcare needs and security are a few reasons which you may look at the need to get yourself a new generator in Saint James. From home generators to industrial, PowerPro possesses the equipment, the knowledge and competitive pricing in order to meet all needs in Saint James. We welcome the chance to show you. Contact Power Pro Generators Inc. for generator sales in Saint James, Long Island. Set up a free consultation for generators Long Island by calling us at 631-567-2700. PowerPro is permitted to sell and repair these reliable and well known brands, which gives us the full selection of choices in equipment, price and availability for Saint James, Long Island. For natural gas generators Long Island please contact us. 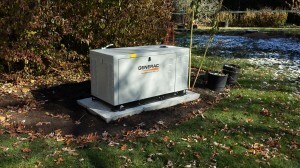 PowerPro provides GENERAC generators Long Island and Kohler generators Long Island in Saint James. The installation of your backup generator in Saint James can be complicated. Considerable upfront effort is necessary to insure your new electric generator is safe to use and works properly by meeting all required electrical and gas practices as well as national, town and village codes in Saint James, Long Island. If you choose to have your electrician perform the installation, ask if he has any experience doing this work on Long Island and even with the brand he is offering. Suggest he comes to PowerPro for the equipment so we can be part of the generator installation process.If you don’t have an electrician or general contractor, we’ll perform the complete generator installation process for you. We use licensed & certified electricians who we train in generator installation as well as master plumbers to complete work in Saint James, Long Island. For home generators Long Island call us at 631-567-2700. Every town and/or village on Long Island requires a generator installation permit. Be sure your generator installation contractor offers this. Our generator installations include permits. For generator installation on Long Island contact Power Pro Generator Inc. To acquire a generator installation Long Island estimate call us at 631-567-2700. Generators need regular maintenance similar to a car, including annual oil and filter changes. PowerPro offers Preventative Maintenance plans that will insure your equipment is ready all the time. This includes regular visits to your place in Saint James, Long Island to insure your generator and automatic switch are working properly. 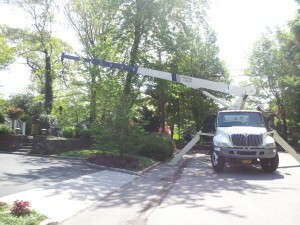 Because we service many clients on Long Island, there will be a good chance we are close by should you need us quickly. 24/7 emergency service option is offered to all Preventative Maintenance Contract clients for any Saint James, Long Island emergency call nights and weekends. PowerPro is the largest full service generator repair company for Saint James, Long Island. We’re factory trained in more brands than anyone else. We service all brands regardless of where you got it. For generator repair Long Island call us at 631-567-2700. Whether your set in Saint James is residential or industrial, we’ve got the experience, training and equipment to service it.